When I read about the unfolding FAA funding situation, I find myself asking a rhetorical question: Are the right wing congress members stupid or simply so uncaring as to be sociopathic? I felt kind of stupid when I first thought this because the answer is so simple: both. Not only have the Republican let the FAA be unfunded for over a week now but they are leaving on vacation for 5 weeks, which means that the agency will not pay its employees in the interim. 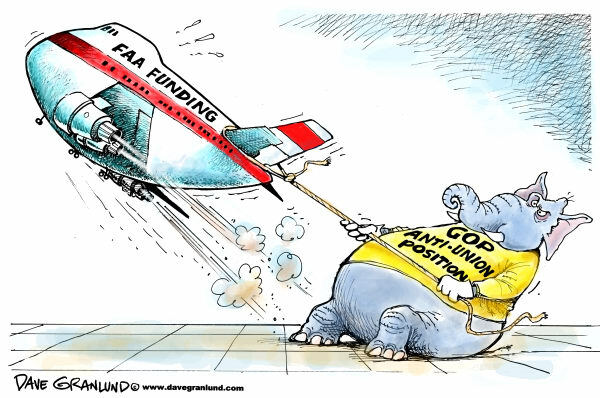 The FAA is always underfunded but now due to disputes over labor, the house has refused to fund the FAA at all for the recent future. Since the FAA is vital to transportation in the USA, of course they won't shut down because they have an effective solution to the problem: The workers will simply have to go on furlough and get paid at a later date. WHAT THE HELL IS WRONG WITH THESE REPUBLICANS? Never mind the economic crisis that the USA is in now, for the next 5 weeks there is a possibility that the FAA workers will not only have to work for free but will have to front operations/travel money to do their jobs. While the Republicans are going home on their paid vacation for the next few weeks, FAA workers have essentially become indentured servants. 1) Refuse to allow the Republicans to use air transport to get home for their vacations, let them drive if they want to go home so much while the workers suffer. 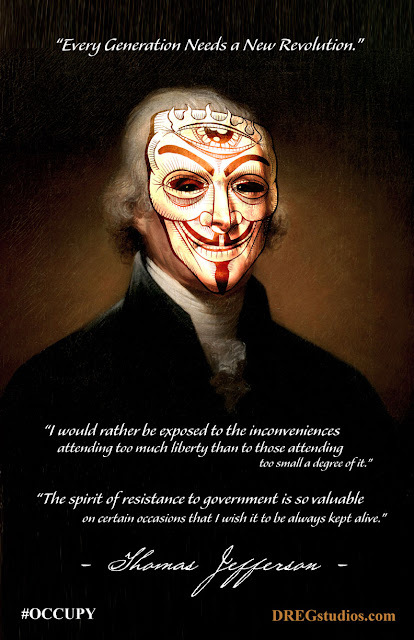 2) Go on strike, shutting down the air transport of the USA (except in emergencies) while saying simply "Ask the congress why you can't fly anywhere" to anybody who is angry. Found your blog when you linked it at HuffPost. You've officially got a devoted fan! I'll be checking back daily, keep the good work coming. It is appalling to me that these Republicans think that regular people, such as FAA workers, can even AFFORD to go 5+ weeks without pay. With so many Americans living paycheck to paycheck in these trying times, how are these innocent people supposed to get by? ?